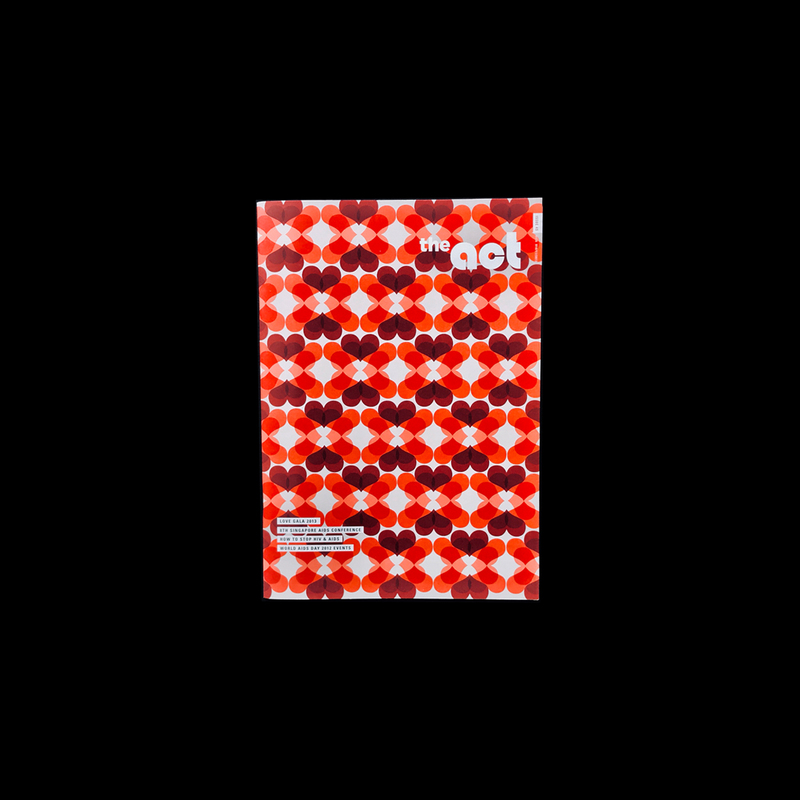 Our generous use of red evokes AfA’s organisational colours, whereas variations on the shades of red—especially in the cover’s heart motif—acknowledge both universal solidarity and individualistic diversity. 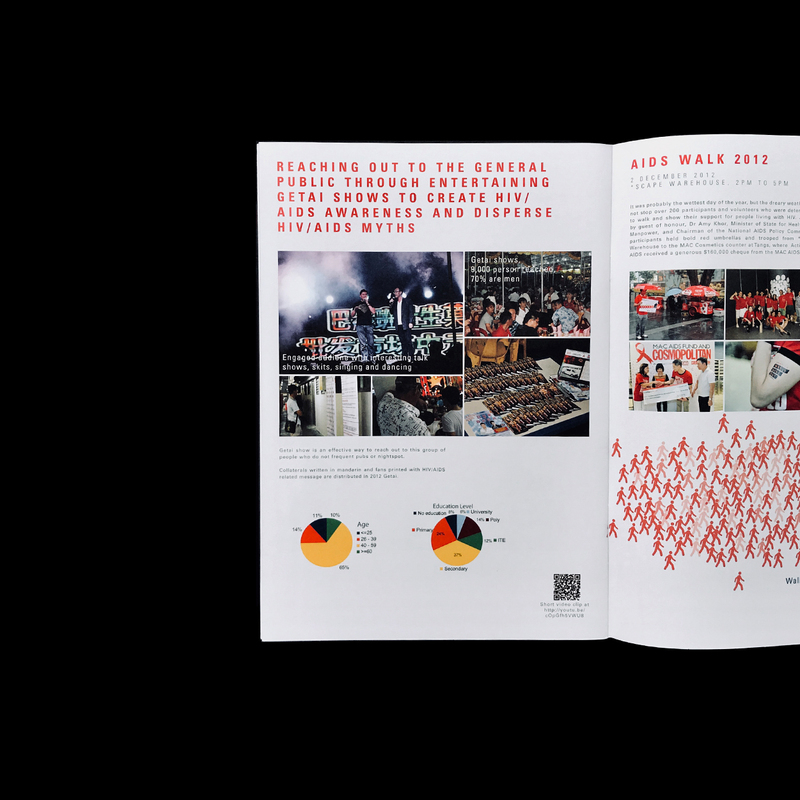 The Act is an annual publication by Action for Aids Singapore (AfA), a non-profit organisation offering medical and emotional care to AIDS patients, while raising awareness and combating discrimination surrounding the illness. Our generous use of red evokes AfA’s organisational colours, whereas variations on the shades of red—especially in the cover’s heart motif—acknowledge both universal solidarity and individualistic diversity. The softness of the graphic design and rounded typeface convey the quintessential hospitality that sustains the AfA, while the overlapping hearts symbolise AfA’s vision of a tight-knit community that stands together against the stigmatisation of HIV.